The league has a whole new look in many ways following an active free agency period that saw many NFL stars change teams. Some of these players are set to provide a big-time positive boost for their new squads. From an aging star pass rusher to an up-and-coming receiver, these 10 NFL stars are in a great spot to do big things. Set to turn 37 in October, T-Sizzle isn’t a spring chicken. Yet there is no doubt this aging pass rusher is still capable of getting to the quarterback. Last year he registered seven sacks, and in 2017 he had 11 sacks. Now in Arizona, Suggs will no longer be the key player opposing offenses gameplan against. Instead, he’ll play second fiddle to Chandler Jones — one of the league’s most lethal pass rushers. As teams look to slow Jones down, Suggs will find ways to make life miserable for opposing quarterbacks. During his tenure in Dallas, Beasley never broke out as a superstar. Yet last year he still hauled in 65 passes for 672 yards — both of which would have led the Bills last year — and three touchdowns. Josh Allen had a rough go of it last year as a rookie playing without an established talent at the receiver position. General manager Brandon Beane went to work during the offseason, bringing in Beasley and speedster John “Smoke” Brown. Of the two, Beasley figures to get the most work and has a real chance to become Allen’s security blanket from the slot. Assuming Thomas comes back healthy and is still the same player he was with Seattle, then he has a shot to not only seamlessly replace the great Eric Weddle but provide an upgrade. One of the best free safeties the league has seen in years, Thomas covers more ground on the back end than anyone in the NFL today. A true ball hawk who has 28 interceptions so far in his career, Thomas is a nightmare to scheme against. His instincts combine beautifully with his physical skills, and it’s rare that he is out of position or responsible for busted coverage. Kyle Shanahan loves dynamic running backs who can make big plays in the passing game. After bringing in Coleman, he now has a few of those on hand with the former Falcons running back joining Jerick McKinnon and Matt Breida. So, one might wonder if there are enough footballs to go around. Yet it’s impossible to ignore the success Coleman had while Shanahan was coordinating Atlanta’s offense. In particular, we expect Coleman to have a big impact in the passing game. During the 2016 season, he averaged 13.6 yards per catch hauling in 31 receptions for 421 yards and three touchdowns. An explosive playmaker, he averages 11 yards per catch throughout his career and has 29 total touchdowns in four seasons. The Packers paid more money to acquire Za’Darius Smith than they did to bring in Preston Smith. In terms of rushing the passer, the former might be more dynamic than the latter. Yet in terms of overall impact, the former Washington Redskins linebacker is going to be a cornerstone player for Green Bay this year, and in the years to come. Smith is no slouch rushing the passer. He has registered 24.5 sacks in four seasons, and last year he pressured opposing quarterbacks 53 times, per Pro Football Focus. He also is strong against the run and can cover in the passing game when necessary. The only non-free-agent acquisition on this list, Beckham landed in Cleveland after New York traded him away for reasons that still defy logic. It’s an inarguable fact that Beckham is one of the NFL’s most talented big-play receivers. In his first five years as a pro, he has hauled in 390 receptions for 5,476 yards and 44 touchdowns despite missing 16 games the past two seasons due to injuries. Recently, we argued that Beckham is set to have a career year in Cleveland. He’s now in an offense that features more overall talent than he’s ever played with before, along with more depth, and one of the most accurate passers the league has seen in years. The AFC North is going to be a heck of a lot more fun to watch now, too. Talk about a match made in gridiron heaven. When the Kansas City Chiefs released Houston as a cap casualty, he immediately became one of the biggest wild cards in free agency. Then the Colts — a championship contender that has been missing pass rushers like crazy for the past few years — pounced on the opportunity to add this special player. Houston has already racked up 78.5 sacks in his career. He has recovered nicely from the ACL injury that cost him much of the 2016 season, tallying 18.5 sacks the past two seasons. Still just 30 years of age, Houston should continue dominating off the edge for the foreseeable future in Indianapolis. Baltimore is set up to pound the ball on offense. With Heisman winner Lamar Jackson running the show in a brand-new offense that’s being schemed up by former San Francisco and Buffalo offensive coordinator Greg Roman, running the ball with power is going to be a huge key for the Ravens. Gus Edwards did a fine job last year, and he’ll still be an impact player. Yet Ingram provides the Ravens with a new dynamic in that he is an exceptional receiver (175 catches the past four seasons) as well as a brutally effective runner. He’ll be an key player in Baltimore’s offense. One of the NFL’s best strong safeties his first four years in the league, Collins was discarded like used-up tissue paper by New York this offseason. A tackling machine who is dynamic at and behind the line of scrimmage, Collins is also adept in coverage with eight interceptions to his name so far. Granted, his 2018 campaign was statistically his worst as a pro. Yet Collins is poised to bounce back in a big way for Washington and has some big-time motivation spurring him on. One of my colleagues recently wrote that Bell’s star is set to fade in 2019. I’m not buying that. Instead, it seems far more likely that this dual-threat running back will explode with a monster campaign for his new team. Young quarterback Sam Darnold will lean heavily on his new teammate this year, both in the run game and as a receiver out of the backfield. 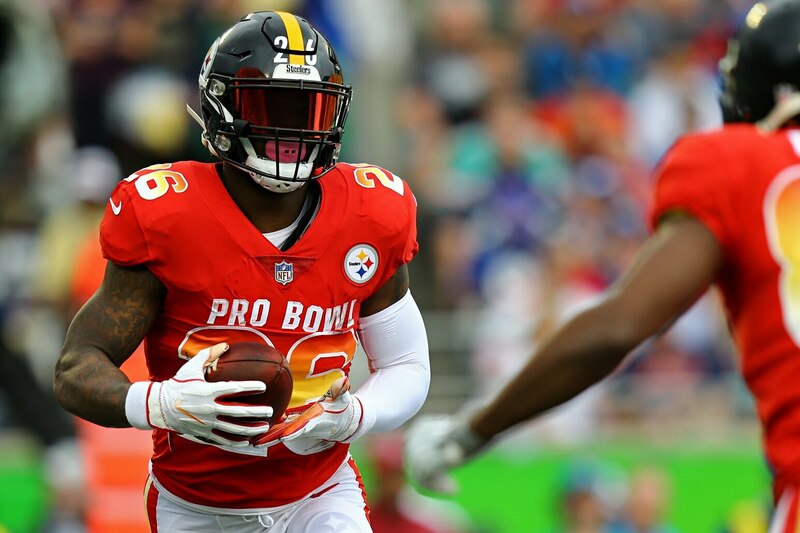 A player who has averaged 129 yards from scrimmage per game as a pro, Bell will be fresh and continue dominating after taking a year off.